Slack is a collaboration hub that connects your organization. It's a communication tool, comprised of channels, where you can share messages, files, and more! Learn more about Slack here. 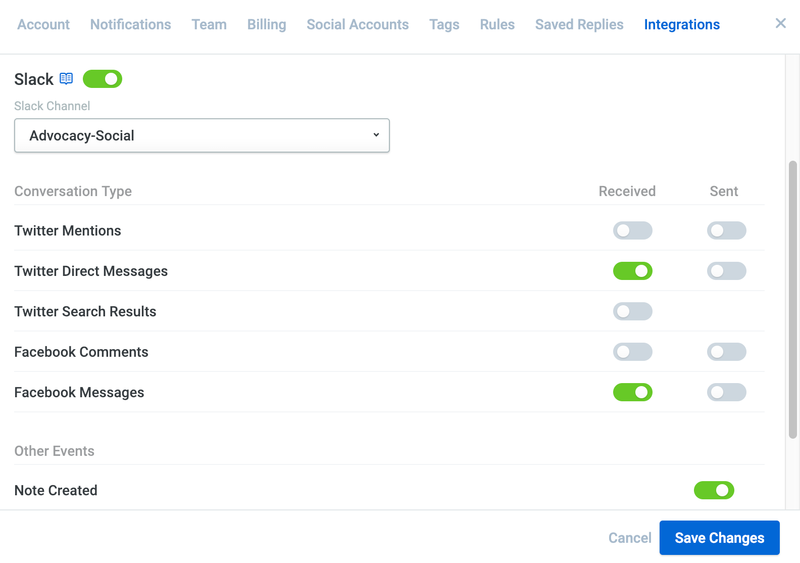 If your team is using Slack, you can integrate your account with Reply, and have certain conversations and events sent directly to a channel of your choosing. This can be especially helpful as you're starting out with social media support and your team is not in Reply daily! 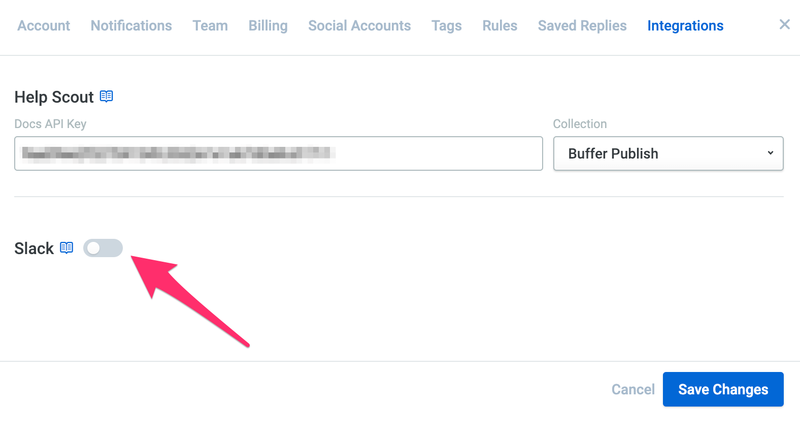 Click on Settings on the left hand side of your dashboard and then select the Integrations tab. Enable the Slack integration by switching the toggle to on. You'll then be prompted to choose and connect your Slack account. Once connected, select the Slack channel you'd like to send alerts to. Finally, click Save Changes and you're all set!